Hello Everyone! I hope everyone’s New Year is getting off to a great start! It sure has been chilly in our neck of the woods! I feel like I have been semi off the grid preparing for the new year and beginning my simplifying already by decluttering and purging but also gifting items to those who may could use items that are in a different season than us. The Viking and I have studied preparedness and homesteading for years even beginning our Backwoods Home Subscription years ago. I turned to my husband and said we could continue to keep these on our shelves but what would be really awesome is if we share them with someone that is just learning about preparation or someone who is just as passionate but has never reviewed this collection or to someone who just wants these fabulous magazines. If you haven’t heard about this giveaway here’s our Facebook Live Video explaining all about it! Yes 39 issues! All for you! The giveaway is for those that live in the 48 contiguous United States and its pretty straight forward. No worries, we will have some e-books to giveaway this coming year so we will have something for everyone! We want to give back to all of you and provide you an opportunity to win a pretty awesome magazine collection that has been treasured by us beginning in 1992! It’s a bittersweet decision but we know we are going to make someone really happy. So, please share with all of your friends and family that you think could benefit from a collection like this. 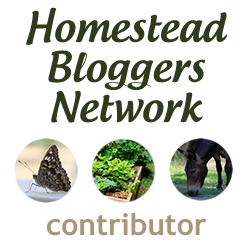 Maybe you know some homesteader’s just starting out! There is really no one favorite but I must say I’m partial to Jackie Clay I have been a fan of hers for years. When she wrote something about the pantry and to this day I never panic about food before a storm. I’m always like I got beans or canned food items…I’m good! It’s nice to have food security! May/June 1992 – Amateur Radio, House Foundations, Using Guns as Tools and more! Jan/ Feb 2013 – Bok Bok Bock – The Chicken Issue – All Things Chickens and Fishing for White Bass and more! Some of the magazines are worn and dog-eared but that’s the point; our personal Backwoods Home collection has been loved and used. I have many cook books that are that way too. I hope the winner enjoys them! To enter this giveaway just follow the directions with Giveaway Tools below: If you already follow us on any of these channels and you have issues please email me at lilsuburbanhomestead@gmail.com and I will verify your entry manually. We want to make sure everyone that is eligible that is already following us gets credit for that! I wish you the best of luck on this giveaway! Fingers crossed for one lucky person!